A new problem found in the latest version of Internet Explorer allows malicious websites to monitor URL address bar content and follow users. Microsoft’s Internet Explorer (IE) dominated the web browser market for over a decade. Those days are long gone, with Microsoft Edge replacing the service and Google Chrome assuming the market lead. However, Internet Explorer is hanging around and outstaying its welcome. The aging browser is now a security threat, including a new problem that has been found recently. Security researcher Manuel Caballero says a new bug in IE that leaks the URL (and any text) that is typed in the address bar. Caballero says the problem appears in the latest version of the browser. The vulnerability gives the website that is visited through the address bar to view all text that’s typed. For users, this means a website with malicious intent could exploit the flaw to find the URL of the next website you visit, or take text typed (which automatically becomes a search). Any user exploited in this way would have no idea what has happened. The obvious way to avoid this problem would be to never visit a malicious website. Of course, that’s easier said than done with many cybercriminals creating legitimate looking websites to snare users. 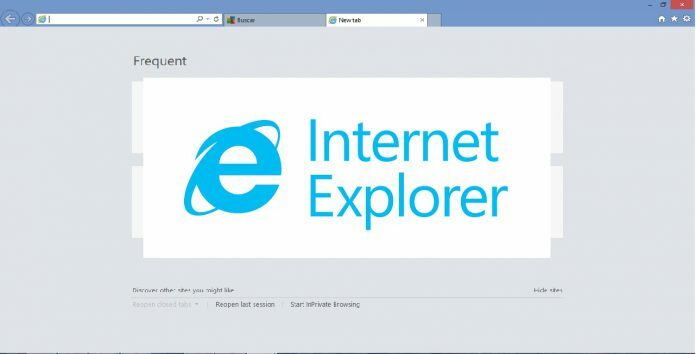 Internet Explorer is still in widespread use and is available alongside Edge on Windows 10. On that platform, there is no reason to use IE over Edge, and Microsoft certainly would prefer you to. Since its launch, Edge has been increasingly picking up new features, security abilities and more. With Internet Explorer sticking around, the browser is losing its legacy and nostalgia for the once dominant service will slowly slip away.